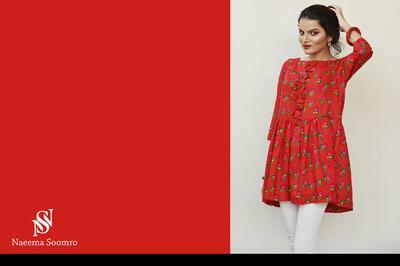 Naeema Soomro is a Textile Designer from Hyderabad. 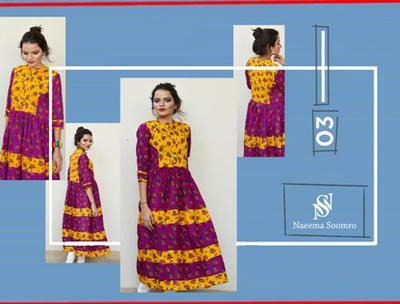 She deals in designing of a clothing line by the name of NS i.e Naeema Soomro Clothing - a Brand that works on ready to wear women's stylish apparel from fabric made in Pakistan. 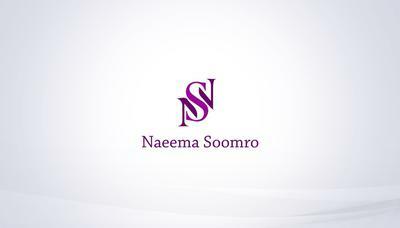 Hi, everyone I am Naeema & I am from Hyderabad. I belong to a middle class family. I am a Textile Designer, Entrepreneur, Trainer, & Teacher. My hobbies are to design and explore new things in arts and design. I have done my graduation in Textile Design from Center of Excellence in Arts & Design (CEAD-Hyderabad) and done masters in Design Marketing & Merchandising from Asian institute of Fashion Design (AIFD-Karachi). I always have been fond of arts and designs so I perused my education in one of the fields of arts which is textile design and the story begins for my brand; down the road I have always been thinking about how I can make a name in this competitive world. 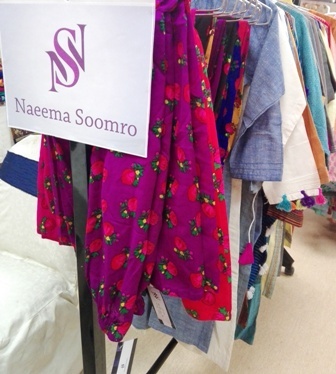 I am taking it a step ahead with my designs in the fashion world - NS - Naeema Soomro Clothing is the brand for designing ready to wear, elegant and chic styled apparel from fabric made in Pakistan. It is an online small business with presence on social media vis-a-vis Facebook, Instagram & Twitter, etc. Recently I have launched my official website too. Links are mentioned at the end. I started my business in October 2015, online. After that I participated in exhibitions at Karachi & Hyderabad with different organizers. Alhamdulillah, today I have good response for my products and the clothing business is going good on its way, but no doubt, every business takes time. I didn't face too much difficulty in my business because it is my passion and dream though I have struggled in my life to carry on my career in the design field. The biggest challenge for me was to live in a new city (Karachi) to actually to get a job after graduating and overcoming the fear of going out alone and gaining the confidence over time. The best personal development is to never quit if it's hard because you get it when you go through the tough process of something in your life. I think life is a challenge, also a goal for me to push myself to do what I want to do. Life is not as easy as I used to think, but it is easy when you make it easy. In the end, my advice is to never let your dreams fade away from your life. Keep your dreams alive. Understand that to achieve anything it requires faith and belief in yourself, vision, hard work, determination and dedication. Remember all things are possible for those who believe.